Following External Affairs Minister Sushma Swaraj informed that 39 Indians, abducted in 2014 in Iraq's Mosul city were killed, France on Thursday offers its condolences to victims' families and to Indian authorities. Swaraj on Tuesday told Parliament in New Delhi that the 39 Indians kidnapped in 2014 by the Islamic State (ISIS) terrorists in Mosul city were killed. In a statement, France said, "France pays tribute to the investigation carried out with Iraqi authorities that made it possible to establish the truth about the fate of these victims of terrorism". "We stand with its Indian and Iraqi partners in the fight against terrorism and for peace and stability," the statement added. 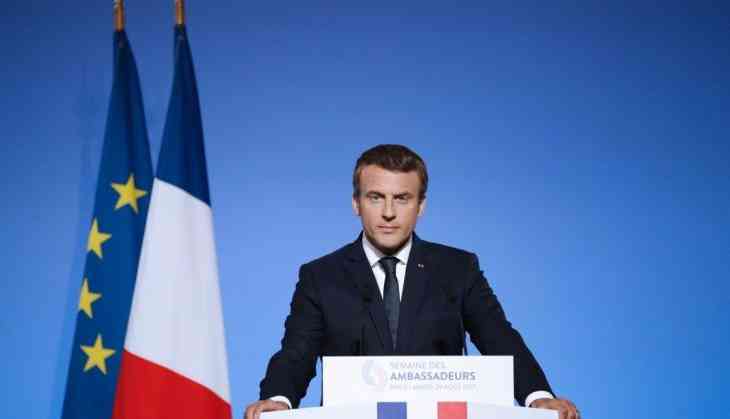 Further talking over India and France strategic partnership, the statement added that President Emmanuel Macron's visit to India has strengthened their relationship. "France President Emmanuel Macron's visit to India on March 9 to 12 helped strengthen our strategic partnership with India to meet the challenges of collective security and to reaffirm the importance of bilateral cooperation in the fight against terrorism."